Additional Info: Decking area, hairdryer, books, board games, Wii Console, ironing board. £50 deposit will secure booking by cheque, bank transfer or Paypal. and will be returned after holiday let, providing there is no damage. I do accept up to 2 well behaved dogs. Full amount to be paid 12 weeks prior to arrival. 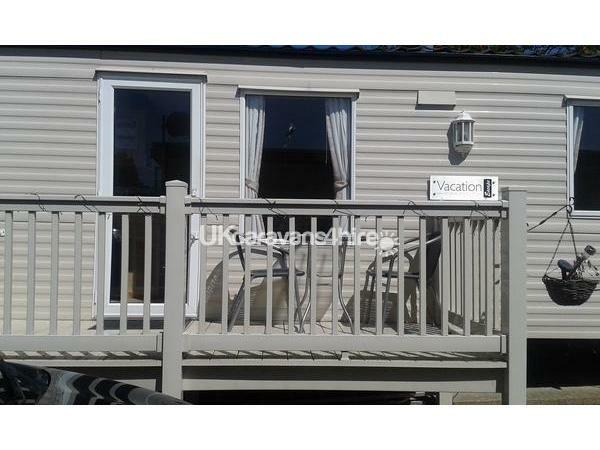 Beautiful 2008, 2 bedroom, 6 berth caravan for let at Manor Park, Park Resorts, Hunstanton on the Norfolk Coast. 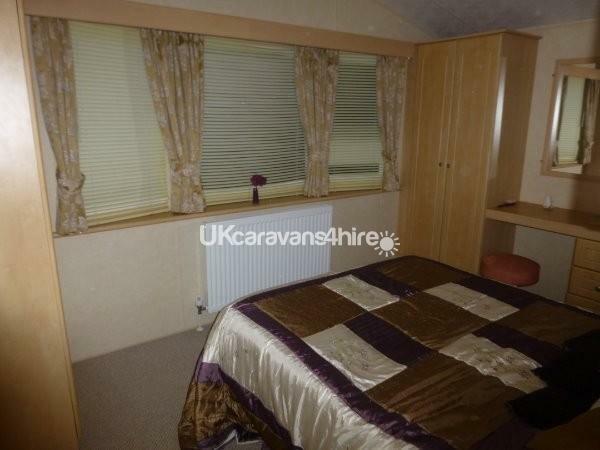 The caravan is fully central heated and can easily sleep 6, possibly 8 if there are small children in the group. The caravan is located on the quiet Sandringham area of Manor park, in a row of only 2 caravans and has parking alongside for 2/3 cars. It is a quiet plot with a nice grassed area behind where kids can play safely. 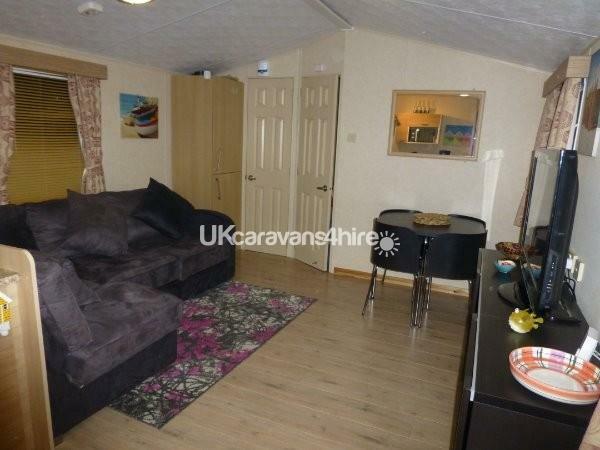 The caravan has a rare layout, with the bedrooms at either end and the living and kitchen area in the middle so it is great for privacy. It is fully central heated with a proper household boiler (and LCD remote control) which means you can enjoy a comfortable stay in the colder months. It provides great water pressure for the showers and instant hot water to the bathrooms and kitchen. 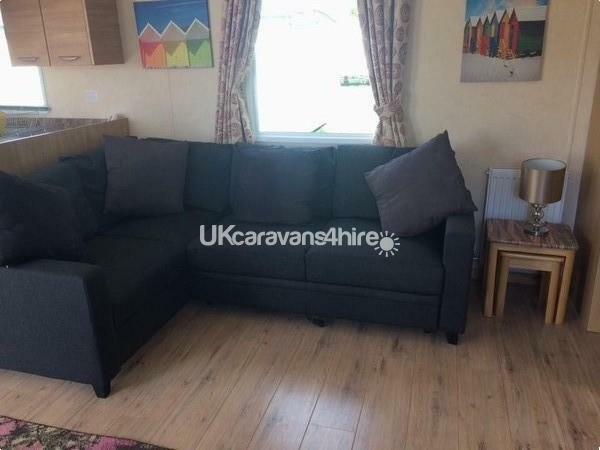 The large lounge area has a brand new corner sofa which pulls out to be used a sofa bed, which is a real bonus even if it is just to relax on or to use as additional bed space. The kitchen is well equipped and includes a fridge, with freezer compartment, microwave, toaster, coffee maker, kettle, oven, grill and lots of storage. There is also ample cutlery, plates, mugs, glasses, bowls, a chopping board, pots and pans etc; enough for 6-8 people. There is also plastic plates, cutlery and bowls for children. The dining area has a dark wood table and chairs and seats 4. There is also sideboard with 2 sliding door cupboards and shelves that houses the TV, with Freeview and Wii console. You will also find some board games and books and DVDs that you are welcome to use. The smaller bedroom currently features a wardrobe, lots of storage and twin beds. The large main bedroom has a double bed, 2 wardrobes, a dressing table and lots of storage, plus bedside tables and overhead shelving. There is also a hairdryer within the dressing table and a radio/CD player. There are 2 bathrooms, both of which have proper power showers. 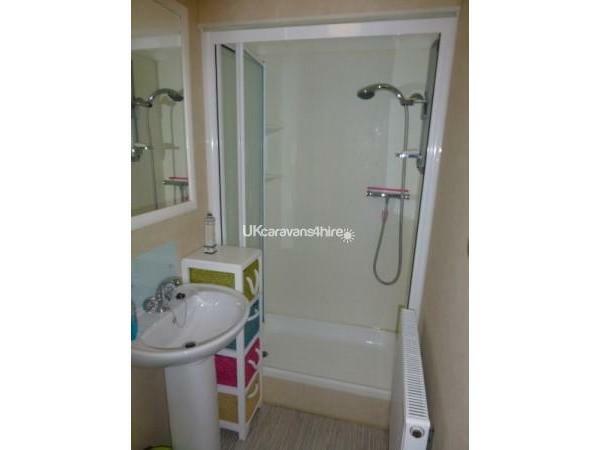 The smaller bathroom has doors into the bedroom and the lounge area, while the main bedroom has its own shower room with sink and toilet. 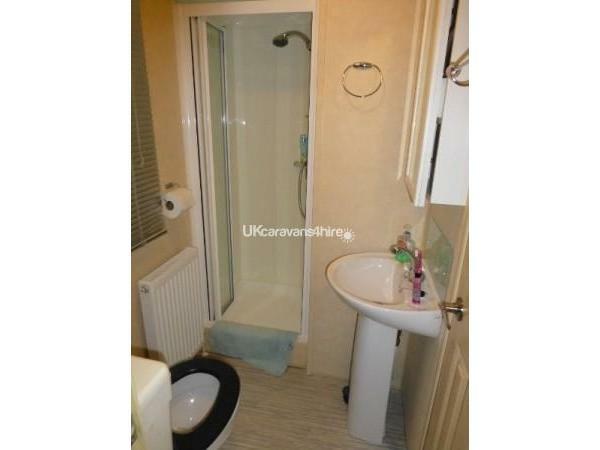 The larger bathroom is an en-suite to the master bedroom. There is free wi-fi in the complex building and wifi is payable outside the complex building. Entertainment passes can be purchased from reception for £2 per child per day and £4 per adult per day and under 5's are free. Or you can purchase a 3-4 night entertainment pass for up to 8 people for £28 or weekly entertainment pass for up to 8 people is £42. 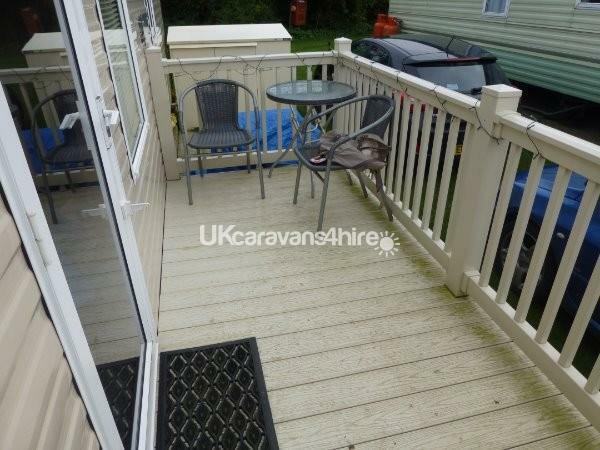 The caravan has a lovely decking area with a table and two chairs, which, being south facing, is a real sun trap. There is also a patio area. 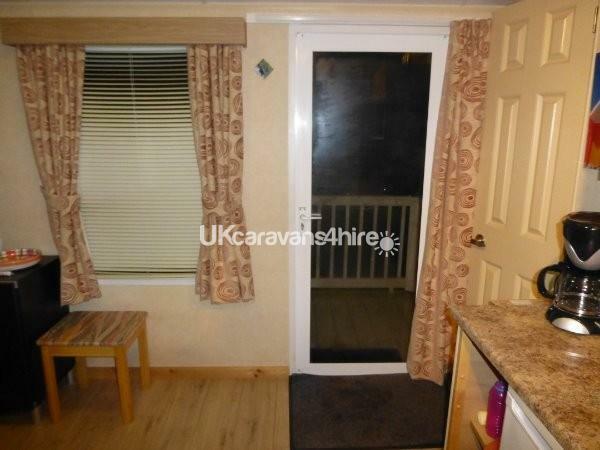 There is also a grassed area to side and rear of caravan. It is really private with houses behind some tall trees/fences. There are two children's bikes stored at the back of the caravans, which can be used as long as they are returned. Manor Park is a secure, family friendly site with a large restaurant and bar overlooking the outdoor and indoor pools, which have been newly refurbished. There is an indoor pool with an outdoor section and a separate outdoor pool, there are sun loungers and changing rooms which are all new. Children will be occupied with the playground, kid's clubs and activities and the Amusements. Free wi-fi is available in the complex buildings and is payable outside the complex buildings. Out and about, the local town has a fairground, shops, bars, restaurants, a leisure centre with swimming pool, ice skating and indoor soft play. Sea Life Centre is a 5 minute walk away as is the crazy golf. Hunstanton has a golf Course, arcades, ten pin bowling, a theatre, chemist and Post Office. The Beach is beautiful and has a lovely promenade and there are regular trips to Seal Island. In nearby Heacham there is Norfolk Lavender, with a children's play-barn. Places such as Royal Sandringham Estate, Holkham Hall, Felbrigg Hall, Blickling Hall and Castle Rising are not far away either. This is also Snettisham Wildlife Park, an RSPB Reserve at Snettisham, Titchwell and Pensthorpe if you are a nature lover. Local buses to King's Lynn stop outside the park gates. There is also the local Coast Hopper bus service that stops outside and can be used to visit the coastal towns and villages up to Cromer, stopping at Wells-Next-The-Sea and Sheringham amongst others. Concessionary passes are accepted on these buses. If you need some shopping Tesco is directly outside the Park, with petrol station and café. Next to Tesco is a Marston's pub (The Honeystone) with plenty of outside seating and kids outside play area The food is highly recommended and service is excellent and they now have takeaway food available. A £50 security deposit will secure your booking and will be returned after the holiday let, providing there is no damage or losses. I accept up to 2 well behaved dogs. Please take a look at pricing and availability. If the dates you want are not showing, then please contact me and I may be able to help you, I can be flexible and provide you with as little or as many nights as you would like. You need to bring your own bed linen and there is no smoking in the caravan. Full balance is due 12 weeks before your holiday. Additional Info: Entertainment bands, comedians, and kids clubs. Sports Bar and indoor and outdoor heated swimming pool. Playground, amusement and launderette. 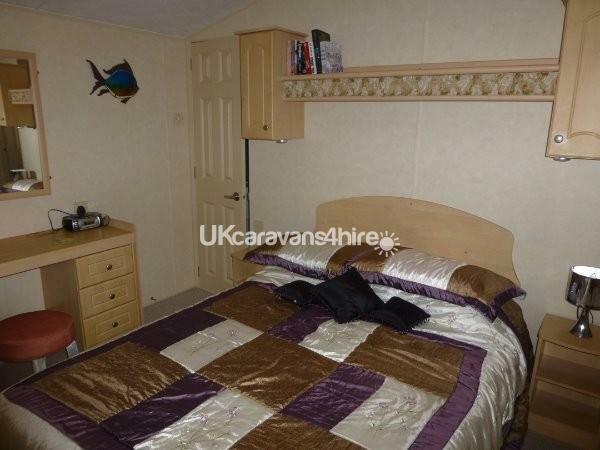 Had a wonderful stay in this spacious caravan, plenty of room for the adults and for the kids to play. Everywhere was clean on arrival and rooms were also spacious with plenty of storage and comfy beds. Plenty to do with all the family within the caravan park or in the surrounding area, great family holiday. Would highly recommend to anyone and would love go back again in the summer. Great accommodation, ideally sited to get around the local area. We used the local buses to get around. Site very quiet when we were there. A very good base for exploring. Communication very good with the owner. This was our second year staying at the caravan for a long weekend . Caravan clean and well equipped. Everything you need is there. Great location. Good communication with owner .Would definitely recommend to friends. Very enjoyable and comfortable stay in a nice spacious van. Two shower rooms were a bonus. Bed was just right and room quite spacious easy to get round the bed. Nice quiet position on the site which suited us. Veranda was lovely to sit out on and we used it a lot because we had plenty of lovely warm sunshine. We would certainly use this van again and would definitely recommend it. I am so glad you enjoyed your stay at the caravan and would recommend to others. Would be lovely to welcome you back on your next visit. We had a lovely week away, caravan was in a nice location close to swimming pool and club house, caravan is very spacious, and having to bathrooms was very handy when everyone was getting ready in the mornings. Had a wonderful few days here. Caravan was excellent for my husband even though he has walking difficulties. 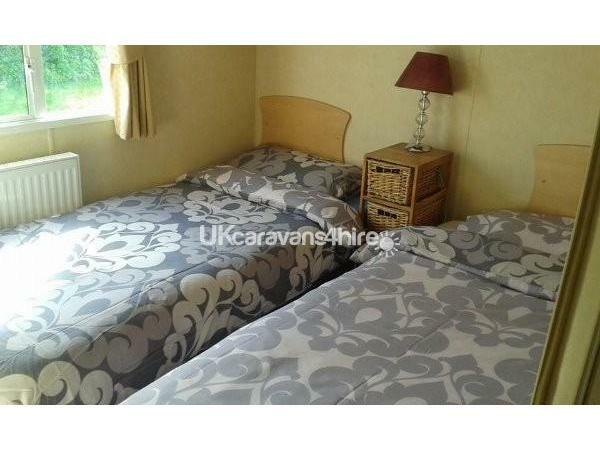 There was ample room around the bed to get around, not like other caravans we have stayed in. This was very spacious and comfortable. Showers were great and the kitchen was very well equipped. The only down side for me, was you had to go to the bar to get the free wifi, but that was the site not the caravan. Would recommend to anyone. Thank you for your positive review. Please you enjoyed your stay. Last minute booking for son and family. Could not fault the caravan or the location, quiet and private. .Extremely clean and well equipped. All communication received a quick an efficient response. Thank you Laura. Would certainly recommend. Holiday was arranged at short notice, very smoothly and efficient. Van was excellent, very spacious and comfortable. The whole family loved to chill out on the wii console after having a day out and about, a nice touch. The dog loved to chill out on the decking! . Very much a home from home. Have stayed on this site a few times before and been to Hunstanton many many times. Would definitely return to Manor Park and Laura's van. Thank you for your review. Great to hear that all the family enjoyed their stay (even the dog :)) Look forward to having you back for future holidays. 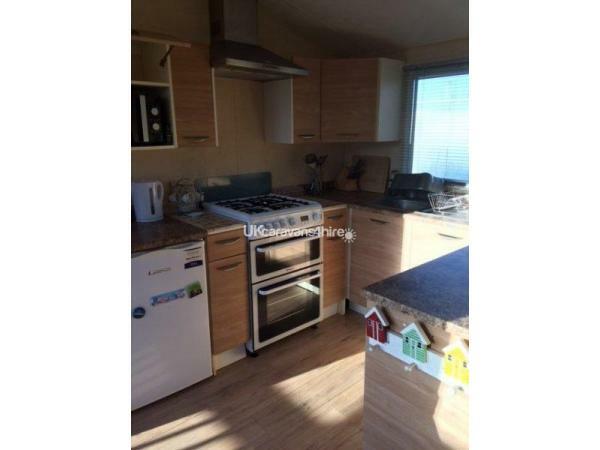 Lovely spacious accommodation a real home from home , with everything you could possibly need, so perfect it made us want to own one just like it .Well situated on a lovely dog friendly park, we took our 2 dogs with us , Hunstanton made them and us feel very welcome. Thank you Laura we look forward to staying again in the future. Thank you for the glowing review. So pleased you enjoyed your stay and look forward to welcoming you back for future holidays. 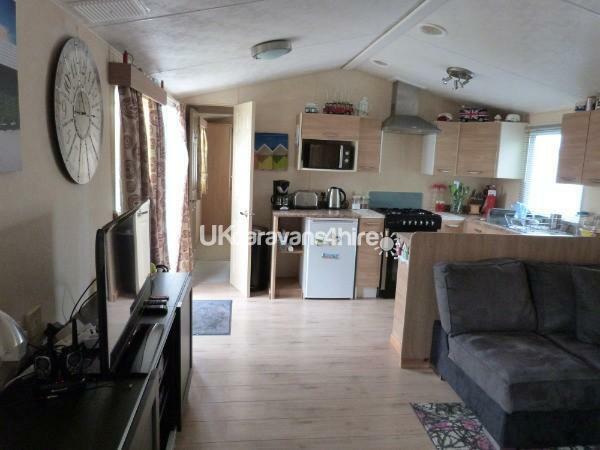 Good location, caravan modern and has all mod cons you require for a short break, central heating is a bonus, lovely and clean, couldn't fault it at all and Laura handled our booking efficiently. Will definitely be going back. So pleased you enjoyed your stay and look forward to welcoming you back in the future. Perfect for us. Arranged very quickly at short notice. A nice living area. Good sized bedroom with en suite, shower was lovely! Decking for sunny evenings. Old Hunstanton beach my favourite beach of all time. We would be very happy to book again in the future. Glad to hear you enjoyed your stay and would love to welcome you back in the future. Thank you for your feedback. Really pleased that you enjoyed your stay. Couldn't fault anything with our last minute short stay lovley caravan very homely and clean .will definitely be going back next summer to enjoy the surrounding areas the beach is only a very short walk away . Would recommend this caravan and holiday park . Thank you very much for your review. I am glad to hear you enjoyed your stay and look forward to welcoming you back in the Summer.